Before I comment on the book itself, may I just point your attention to the really cool blurb. It is not often you see a blurb written in limerick, but it really does set the tone for this book, as its a satirical musical comedy, and the characters really do keep bursting into song and dance numbers. This is easily one of the most bizarre, quirky but fun books I have ever read, and I have a feeling I really do want to read the next book in the Chrome Junction Academy series. This was surprisingly for me a rather quick book to read, and I really enjoyed seeing what would happen next. For what started as a regular week in the life of two twelve year old girls who spend their days at school, it very quickly turned into a week I doubt they would ever forget, and not for good reasons. I can't tell you what happens as you wouldn't believe me if I did. This is not a book for the easily offended, if you only want a book that is in good taste, no profanity and all happy and smiley then this won't be for you. If on the other hand you are open minded, like a laugh and take everything at face value and with a pinch of salt, like I did, then you may really enjoy this book. The best way I can describe this book is the comedy level of South Park, I don't always find it funny but something keeps me watching, and that same in this book. 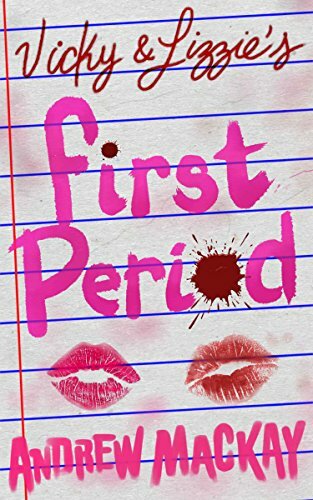 At points I did feel very ill at some of the scenes, and I'd like to call Vicky and Lizzie all manner of bad words, but yet there was something believable with all the characters in the school, and there was something that kept me reading. I also liked that there were references in this book to the authors other books, and the author himself made a cameo of sorts in the book, although if you haven't looked at his back catalogue titles you may not even realise. Equally I spotted a joke in there about his next book which isn't out yet, which also really made me smile. As I said above this is a musical comedy, and I could really picture the students breaking off from what they were doing and having these big song and dance numbers in a rude version of High School Musical. In fact half of me would have loved a soundtrack, the other half would love to see this on the stage, think it would really attract a fabulous audience that way. Some of the songs you will recognise, others I believe are new to the book but you sort of got a feel for the rhythm of the lyrics if not the tune. 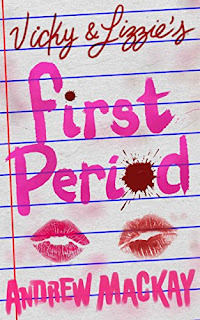 Please don't look at the title and be put off by the mention of periods, they are poked fun of, but this isn't a teenage angst book, and there is plenty more in the book too, assorted topics that the mickey is taken from. This book is as far from politically correct as you can get, and I think because of that I thoroughly enjoyed it. I may not be 100% about the ins and outs of what good satire is, but this was a book that the way I read it, as an amusing story really worked for me. This may be the first book I have read by Andrew Mackay but I have a feeling it won't be the last.